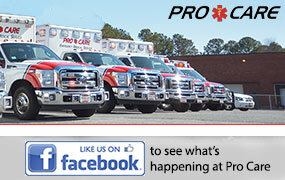 Special Events: We provide EMS and ambulance service for community events, sporting events, and entertainment events. In certain cases, these services are provided at a discounted rate or gifted to the organization. Sponsorships: Pro Care often sponsors sports teams or other community events.